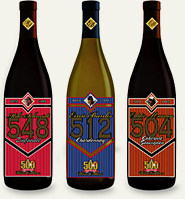 All current 500 Home Run Club wines are produced by Eos Estate Winery out of Paso Robles, California. Expected retail per bottle of wine is $17. President of Charity Wines, Andrew Graff: "We are honored to be working with such remarkable athletes on this project. Ernie’s 512 homers are amongst the most of all-time, and he is arguably the best Cubbie to ever play the game. 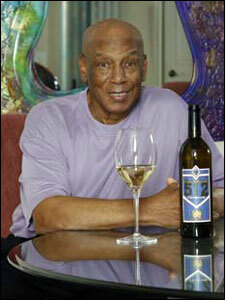 What these men are doing for their communities are just as elite as what they did on the field.” Liz Banks, Founder & President of the 500 Home Run Club, and also wife to Ernie Banks: “With 512 home runs, Ernie was each such a quality ballplayer that for him to launch a quality wine for charity seemed a natural fit. • Tue., March 18, 2008 – Retailers can begin pre-ordering the Limited Edition wines. By May, the wines will be available at retailers, restaurants and online.